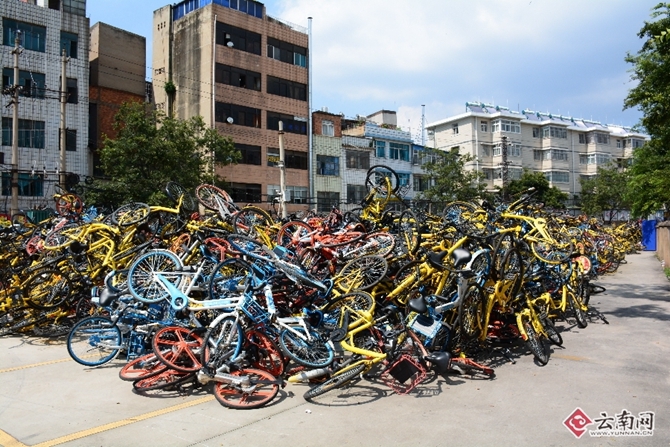 Kunming, capital of Southwest China's Yunnan province, will allow no more applications from bike-sharing firms from next month as existing operators have already overshot the city's capacity. From Aug 1 incumbent bike-sharing companies, including Mobike and Ofo, will also be subject to strict rules regarding the phasing out of old bikes, according to a management rule recently released by the traffic authorities. The rule sets a limit for the city of 300,000 shared bikes. The city's four bike-sharing companies currently have about 350,000 bicycles and 4 million registered users, among its total population of 6.6 million. Bike parking areas in public space without official permit will be banned. Bike-sharing has caused problems such as traffic jams, parking difficulties and vandalism, as well as challenges for urban management. Many cities have regulated the service. 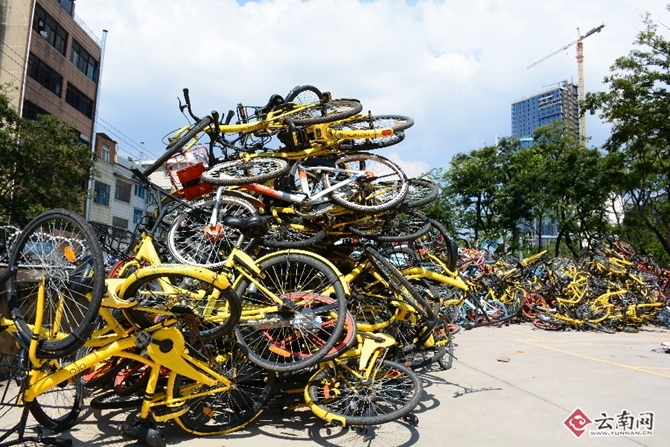 In May, Beijing and Hangzhou unveiled new rules, with the latter removing at least 80,000 bikes from the street. The government of Kunming has already turned down several applications from companies wishing to enter the market.